TOKYO – Whenever I’m in Tokyo, I always make it a point to spend some time at BAR IDO (aka IDO or ‘eee-doh’). This is a place I was introduced to by Japanese colleagues (back when I working in Tokyo) and it remains one of my must-do’s whenever I’m back in town. What is it? One of the finest whiskey bars around and my all-time favorite place to drink in Tokyo. Why do I love it? Well, I’m a huge fan of single malts and they just get the whiskey thing right – amazing selections, terrific service and a dark, quiet setting. Loads of whiskey: IDO always has a fantastic selection of single malts (one of the best I’ve run across) – easily upwards of thirty to forty; mostly Highlands and Islays, though Speysides and Lowlands are also represented. Vintages start at age ten years and go up from there (recall seeing a few forties on the shelf); special editions can also be had, along with many of the latest releases. Twelve bar seats: Okay, IDO is small. There are no tables or room for standing – just one, long, glorious bar counter that accommodates twelve (I have a thing for bars; always have preferred my drink on a proper bar rather than a table). Low ceilings, all black interiors and low lighting make for a very comfortable yet intimate vibe that, surprisingly, never feels claustrophobic, but somehow, quite conducive to drinking whiskey. Japanese bartender/owner: Armed with a wealth of single malt knowledge, IDO’s owner/bartender is all about helping customers choose a whiskey that’s right for them. 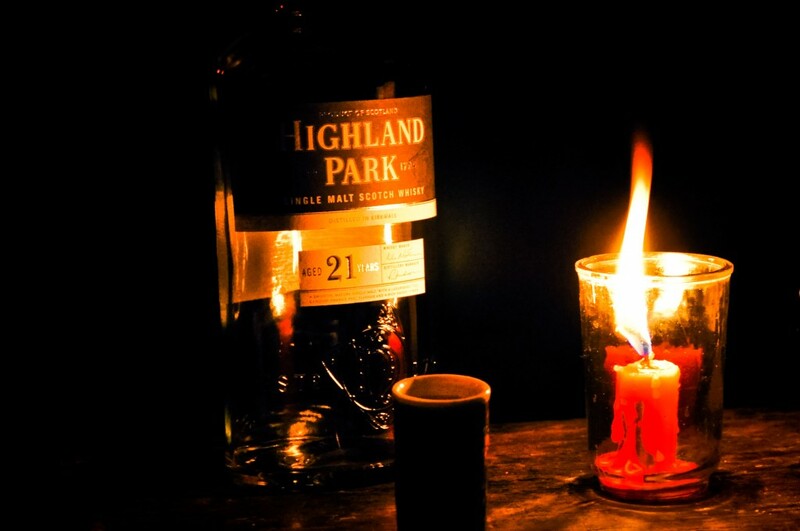 Granted, his English isn’t great but if you give him some basics on what you’d like – maybe a twelve year, spicy Highland or a not-too-peaty Islay – he’ll quickly have a few bottles lined up for you to choose from. Or, if you’re new to single malts, he’ll happily put together a tasting sampler, usually consisting of a popular vintage from each of the four main regions, and personally take you through the background of each one. Lotsa extras: How about your own personal carved ice ball? That’s right….order your single malt on the rocks and the bartender will carve one that fits perfectly in your glass. IDO also offers complimentary bottle keep service should you opt to become a regular. As for clientele, the bar tends to become more interesting as the evening progresses, usually peaking around 1am when fellow bar owners and hostesses stop by for an after-work drink. Oh, and for those who might not be in the mood for a single malt, IDO is happy to whip you up the odd cocktail – the margaritas and Bloody Marys are quite tasty. That “little thing” that makes IDO worthwhile: A double Highland Park (twelve year on the rocks)…the perfect way to kick off a night in Tokyo. Where is it? BAR IDO is located in Tokyo’s foreigner district of Roppongi, one block up from the main crossing in the basement of the Takahira Building (4-9-9 Roppongi). Tel: 03-3796-6008. Hours: from 6PM to 4AM; closed Mondays. Nearest metro station: Roppongi via the Oedo Line or Hibiya Line.